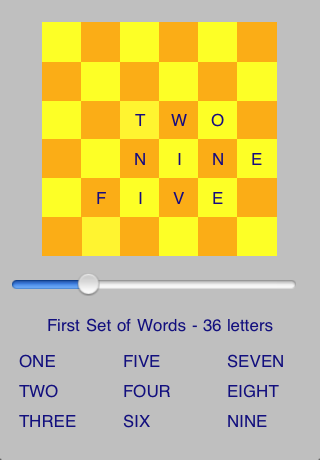 This application contains five puzzles. 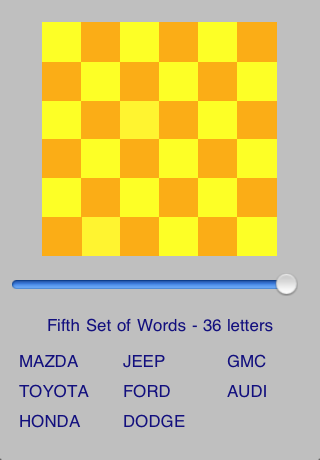 It lists 5 lists of words - 36 letters in each list of words and asks the operator to fit the words into the 36 squares. The squares become letters when the operator touches the screen. 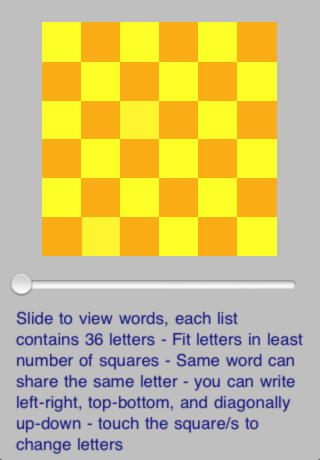 The challenge is to use the least number of letters-squares to write all the list words. The words can share the same letter as the words can be written left-right, up-down, or diagonally.